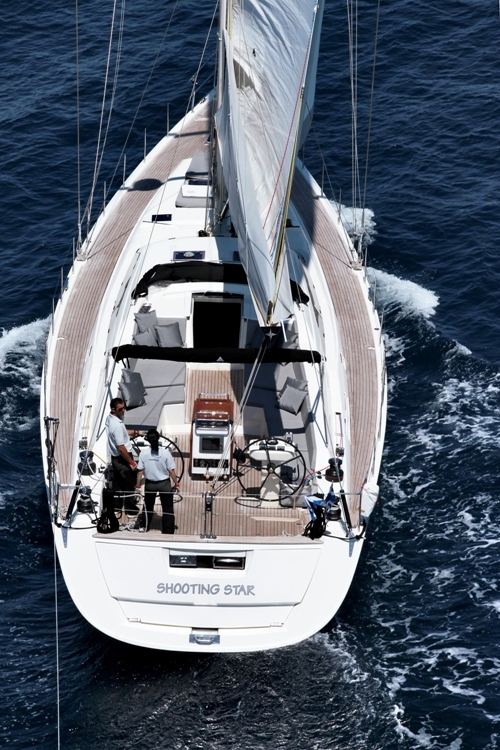 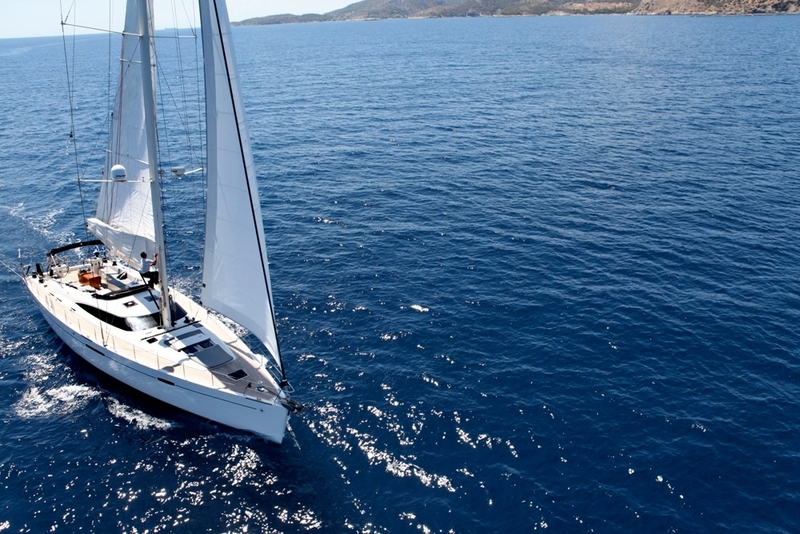 Shooting Star - Sailing Yacht - Gianetti Star 64 - Sailing Holidays in Greece! 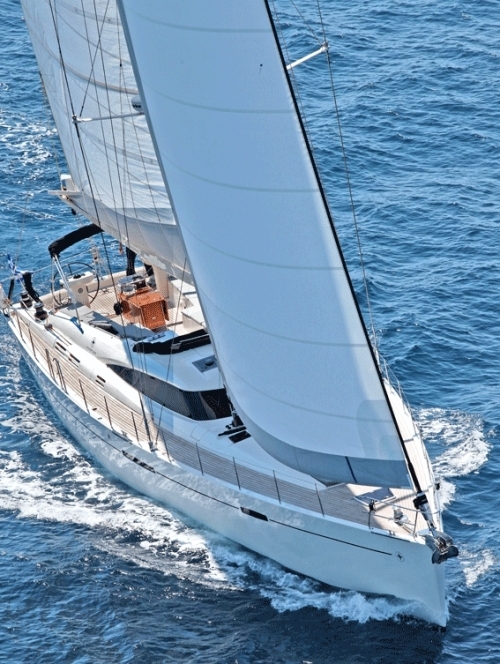 The Shooting Star is a 20 meter sail yacht launched in Italy in 2008, by the Gianetti Star shipyard. 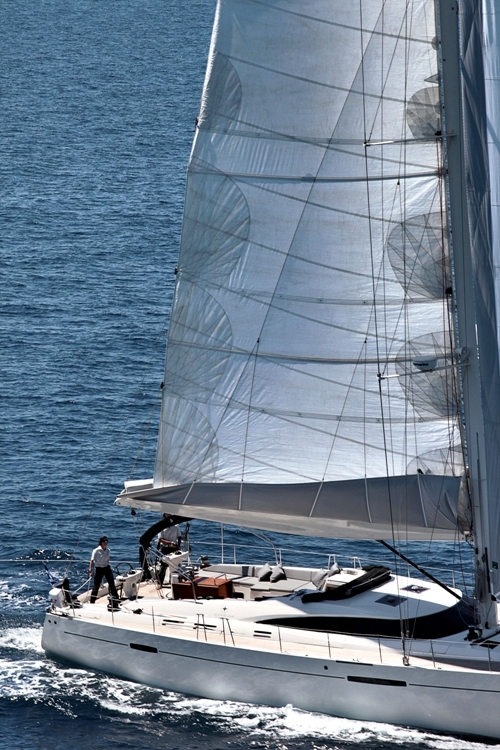 The yacht has elegance in both its external lines and materials in the interiors. 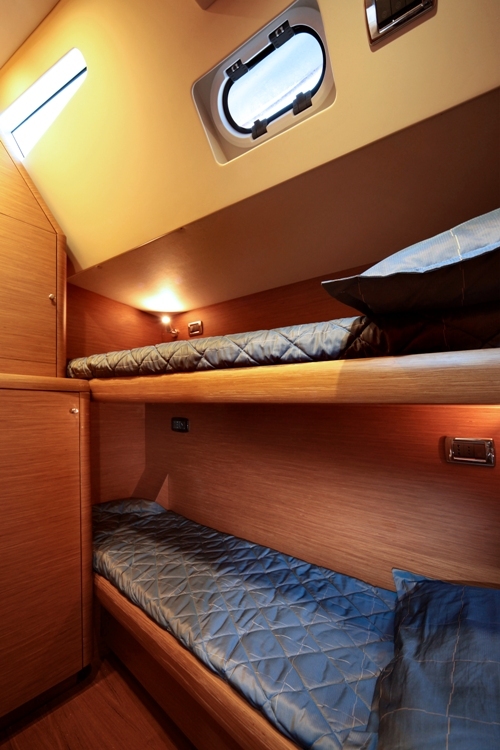 The Shooting Star can accommodate eight to ten guests in four double cabins with en suite facilities. 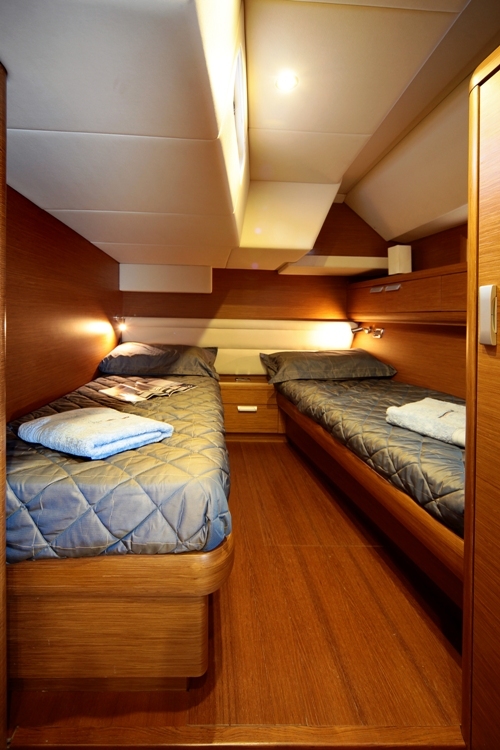 The master cabin is grand in size with a king sized bed and two private bathrooms. 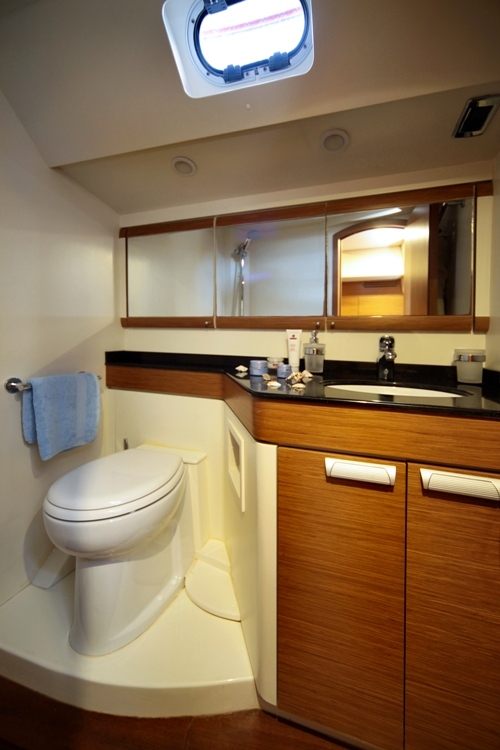 When required this cabin can be converted into two separate double cabins each with en-suite bathroom! 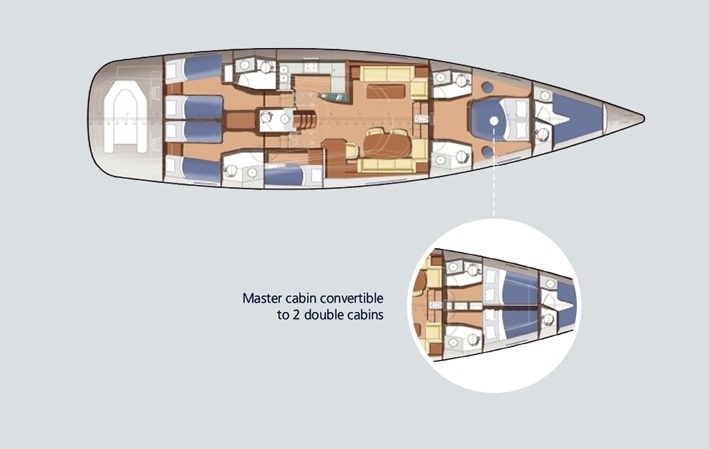 There are also two identical aft cabins, each with two single beds and en-suite bathroom plus one cabin with upper/lower berths. 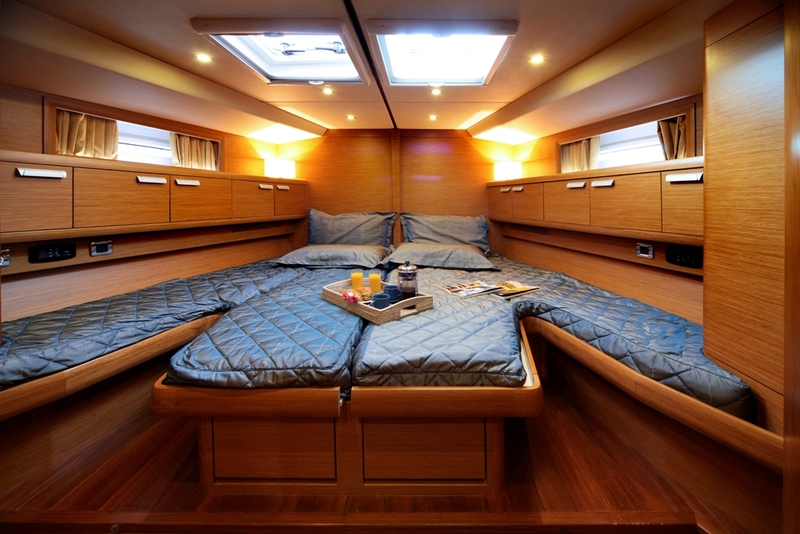 The Shooting Star provides its guests with all the comforts of home in its salon area, equipped with a lounge, dining table and sofa. 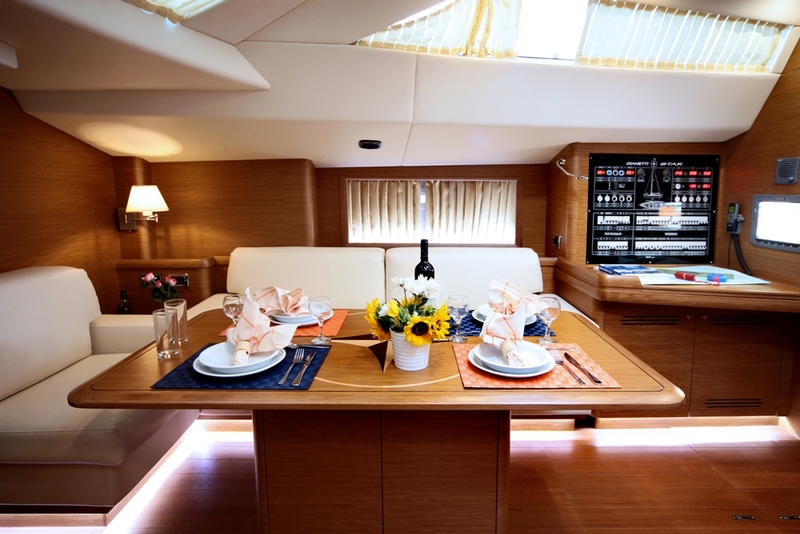 You can sit back and relax in the comfortable sofa, watch your favorite movie on TV- Home Cinema, listen to music in the iPod or play video games in PS3. 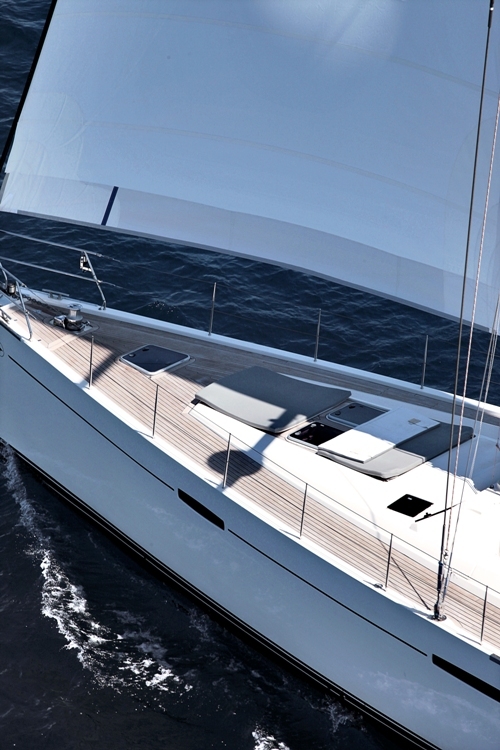 Elongated side windows and overhead hatches infuse the space with light. 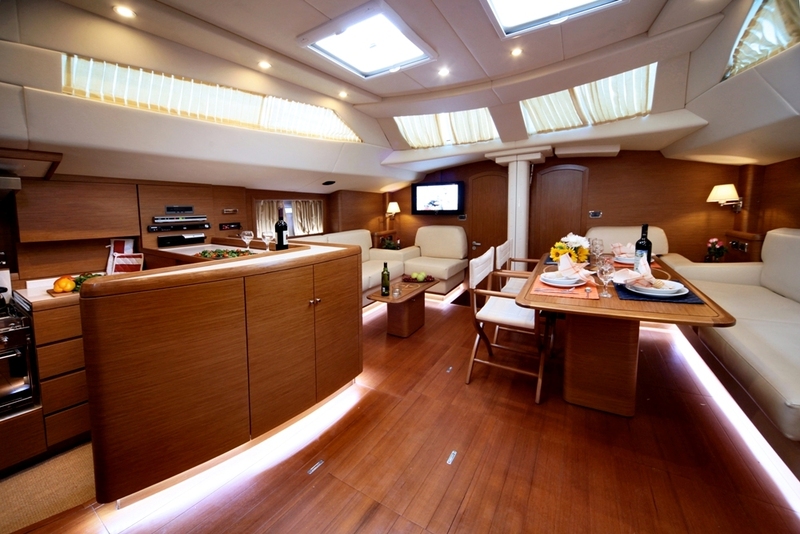 Aft of the lounge, the open galley also doubles as a wet bar, ideal for entertaining. 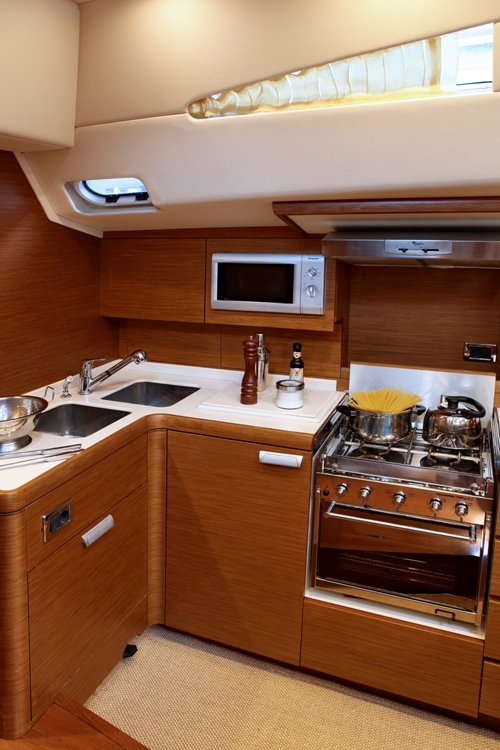 The galley is spacious and reachable from the main lounge area. 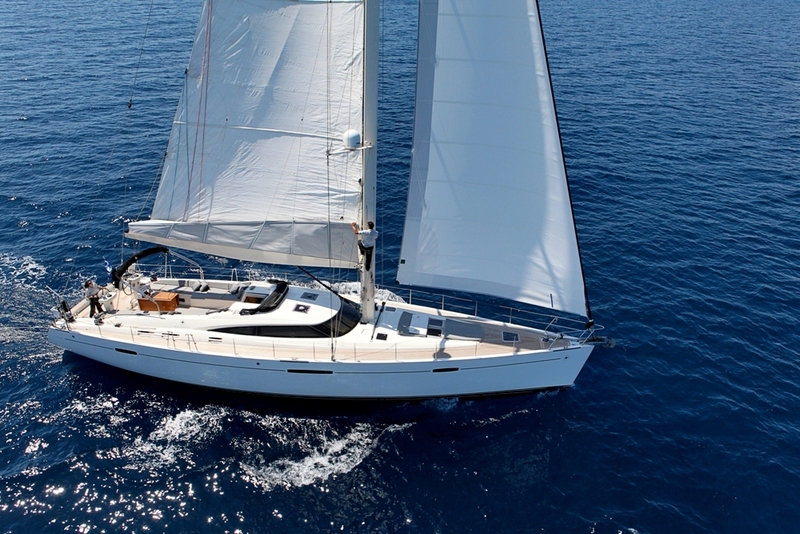 The deck follows the aggressive hull lines, with walkways covered with teak deck. 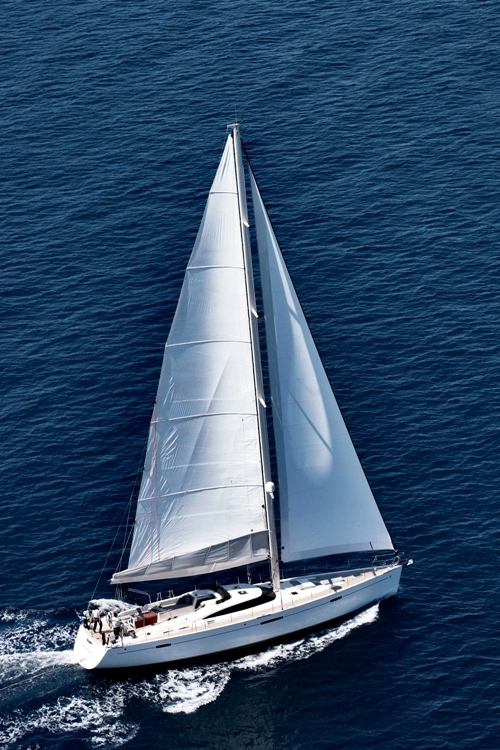 The rigging is exceptional and promises great sailing performance. 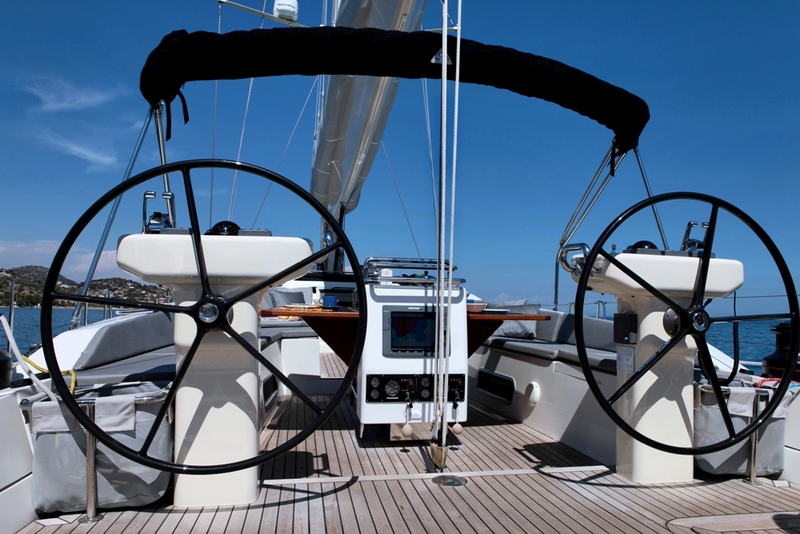 Comfortable sun pads are located forward and the large hydraulic bathing platform gives easy access to the sea while on anchor. 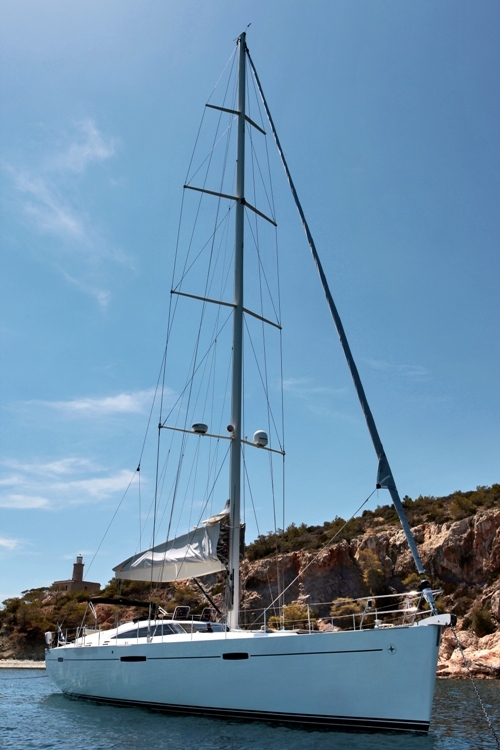 Decorated in grey tones, the large cockpit is comfortable to accommodate all guests. 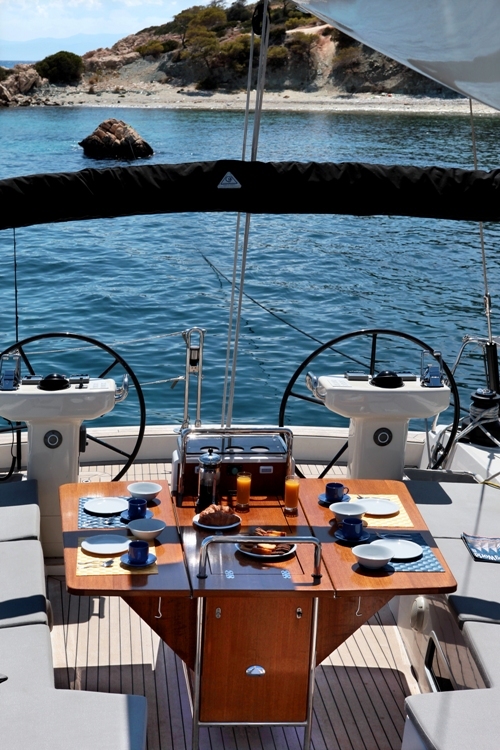 The main cockpit is forward of the dual helms featuring ample seating and an al fresco dining option. 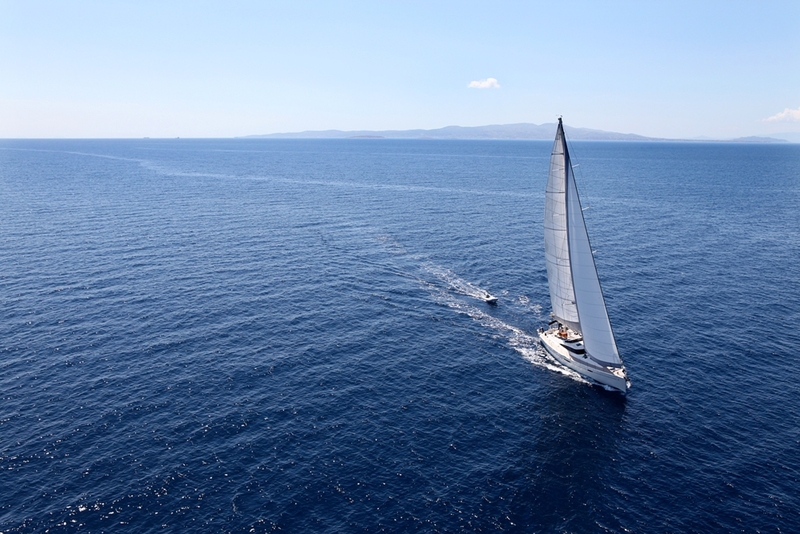 Sailing performances and the great habitability make this boat a perfect cruiser for those who love speed cruising. 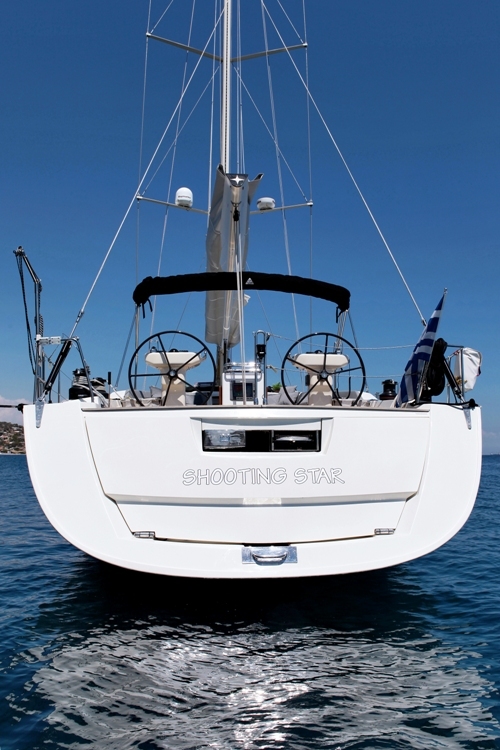 The Shooting Star is offered for charters in the Greek seas with its private crew-- Captain Aristotelis and Liza who is both the hostess and the cook.